National Treasury said late on Friday night that it is determined to achieve improved ratings in the period ahead and has noted Standard and Poor’s assessment of challenges and opportunities the country faces in the immediate to long term. Fin24 reported that Standard on Poor’s Global Ratings affirmed South Africa’s rand debt at "BB+", first notch of sub investment grade, and kept SA’s foreign-currency debt unchanged at "BB", the second grade of junk status. According to S&P despite recent political changes and reforms being undertaken, “economic growth remains tentative and the government’s debt burden continues on a rising path”. 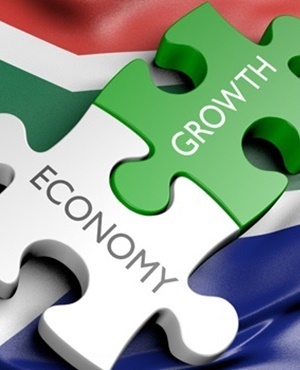 The ratings agency expressed concern about SA’s per capita economic growth and estimate economic growth to average at least 2% over 2018–21, which is still below 1% per capita. The issue of state-owned enterprises still looms large with S&P flagging “large fiscal debt burden and sizable contingent liabilities”. In response, Treasury said that since the ANC’s elective conference in December, business and consumer confidence have improved and the February Budget further supported the improved investment climate. Treasury detailed nine recent changes, including replacing the boards of parastatals such as Eskom and Denel, the appointment of an acting South African Revenue Services (SARS) commissioner and the appointment of a new head for the elite crime fighting unit, the Hawks. Treasury also pointed to the public sector wage negotiations being concluded without breaching the compensation ceiling saying parties have 21 days to sign the deal. “Going forward, government will engage S&P on their areas of concern. Taking steps to improve business confidence even further, achieving higher economic growth, fast-tracking the SOC (state-owned companies) reform agenda, and ultimately restoring the country’s investment grade credit rating, remains a top priority,” Treasury’s statement read. S&P has traditionally held a more negative view of SA than its rival ratings agency Moody’s, who kept SA at investment grade in March and changed its outlook to stable, expressing confidence in President Cyril Ramaphosa’s ability to turn the country around.